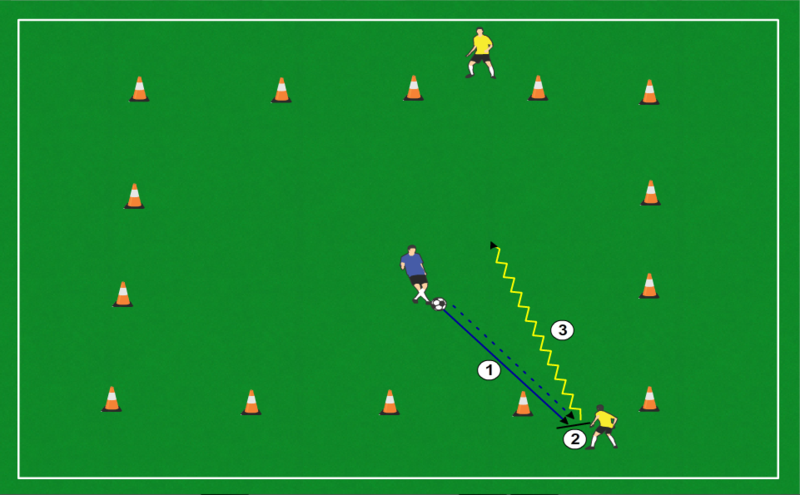 Drill 3 involves 3 mini drills. 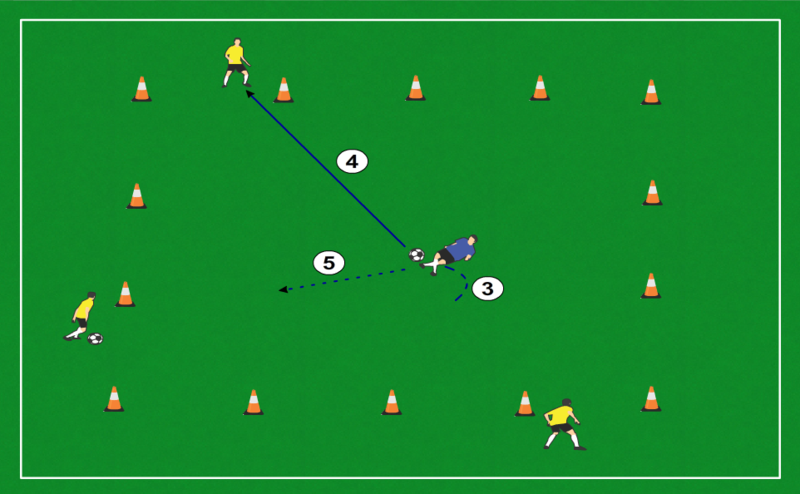 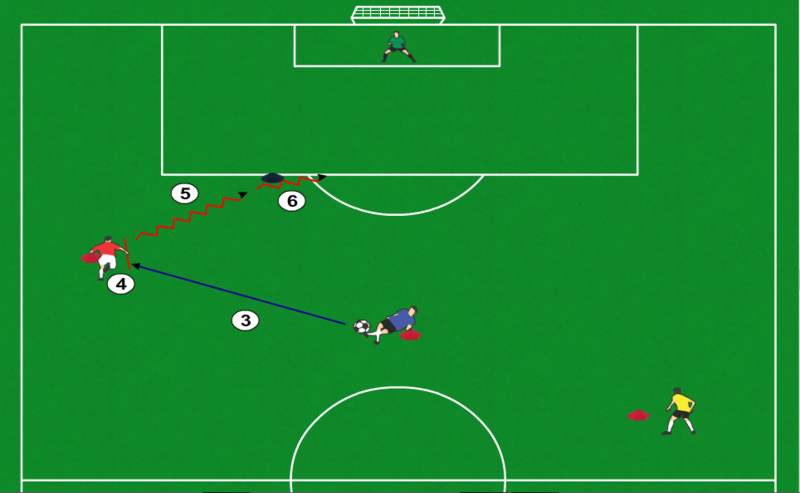 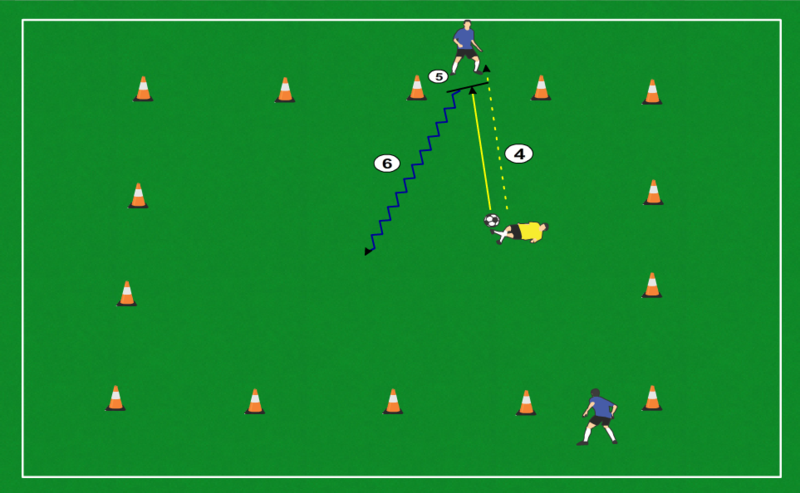 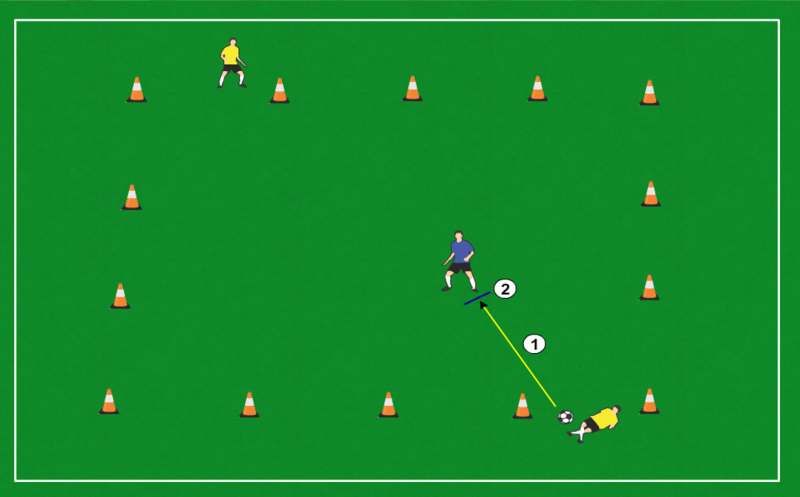 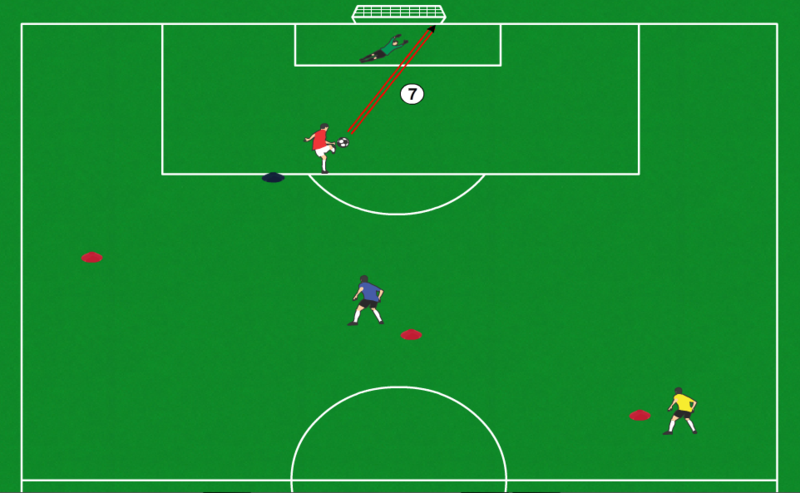 The first 2 mini drills use the setup described below. 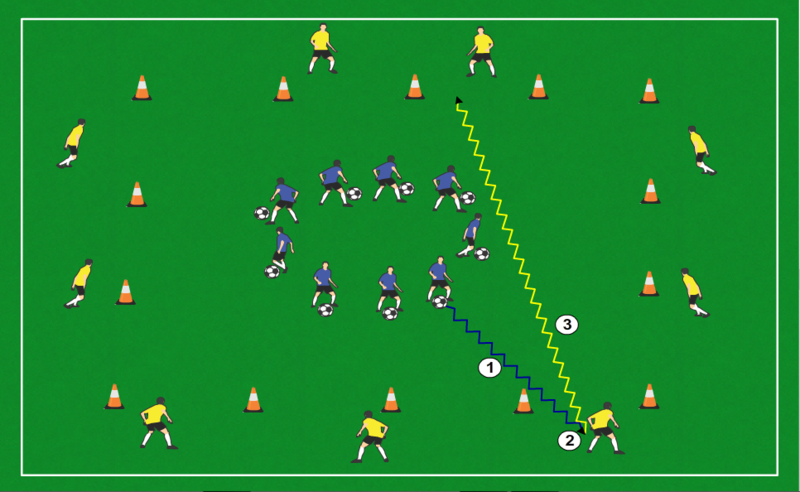 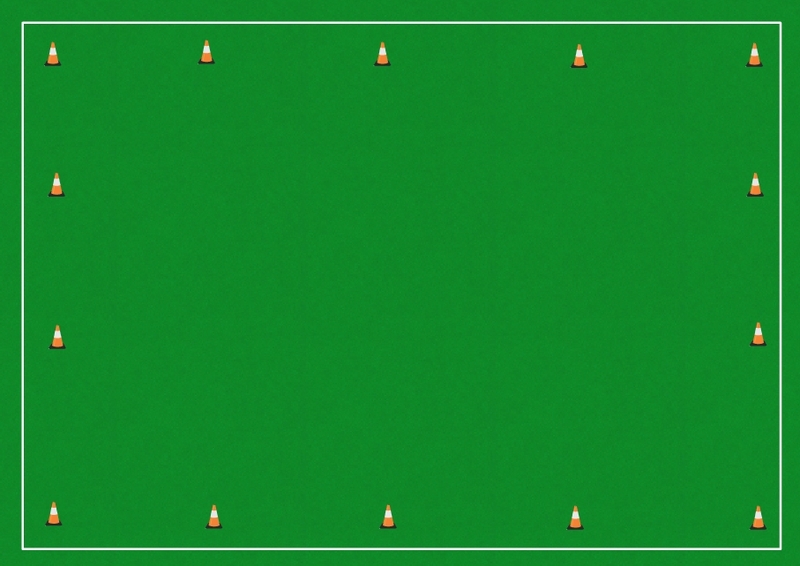 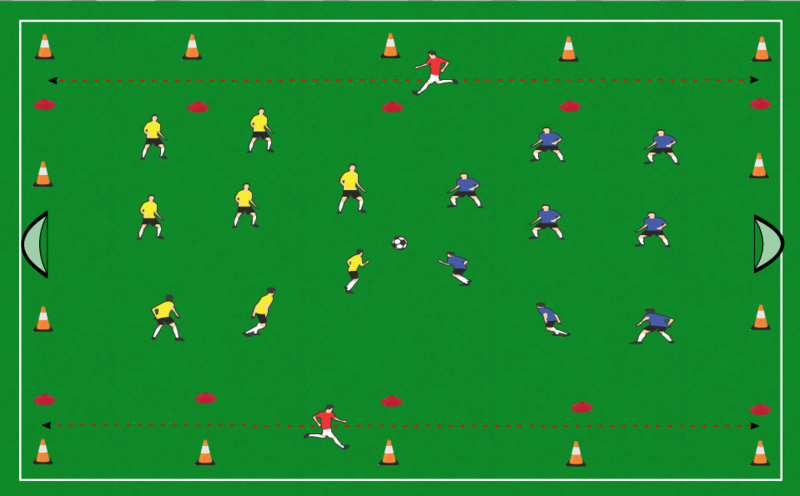 The only difference in the setup of the 3rd mini drill is that it switches where the soccer balls are at the beginning of it.